If you are looking for an amazingly tasty breakfast that is also Keto Diet friendly, Weight Watchers Friendly and everyone will love even if they are not doing the Keto diet. 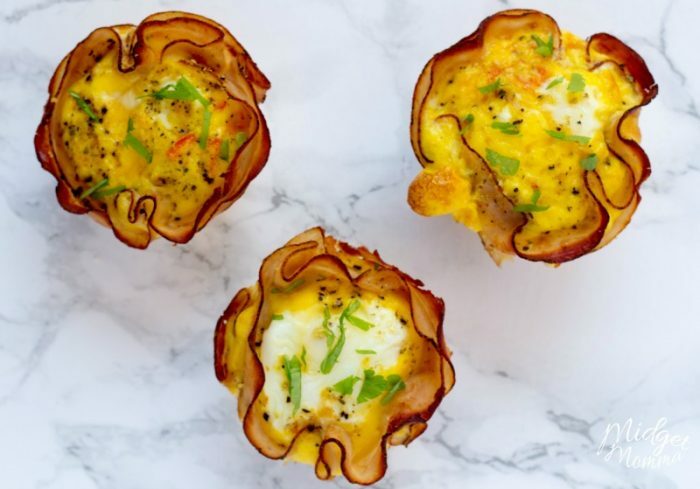 Then you are going to LOVE these Ham and Egg cups for breakfast! 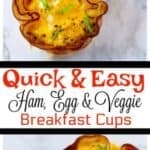 Ham and Egg cups are a quick and easy breakfast recipe is one that can be prepped and then cooks while you are getting ready for the rest of your day. Or if you are like me, take the time to enjoy a cup of coffee while they cook! 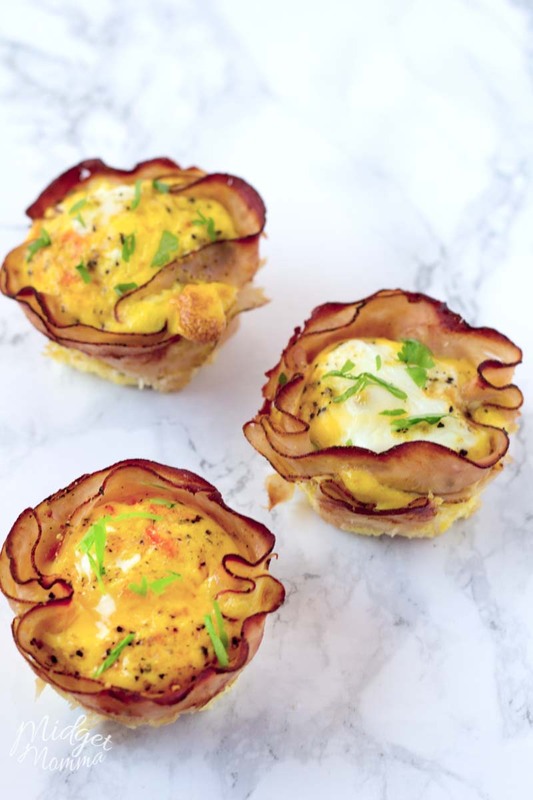 These Ham and Egg Cups are such a simple breakfast made in a muffin pan. This ham and egg cups breakfast recipe is one that even the kiddos will enjoy! I love when recipes make everyone in the house happy, it makes cooking so much more fun! 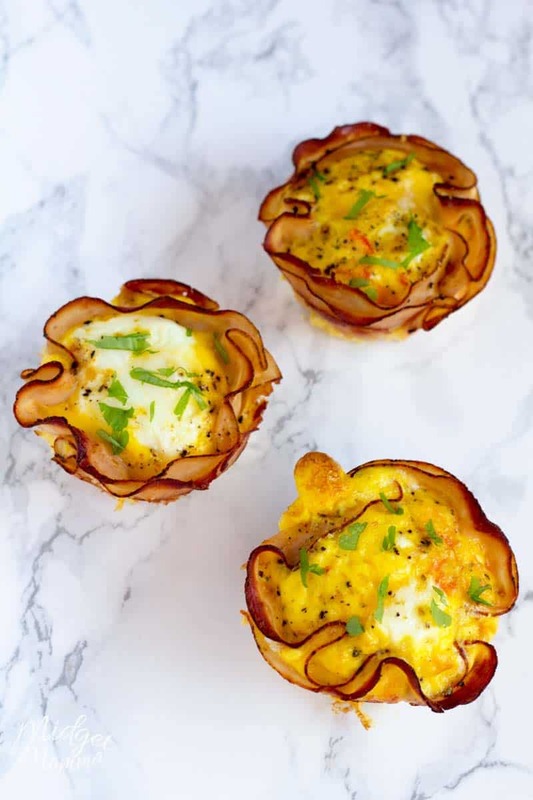 One of the great things about these Ham and egg breakfast cups is that you can change these up to what vegetables you have in your fridge. 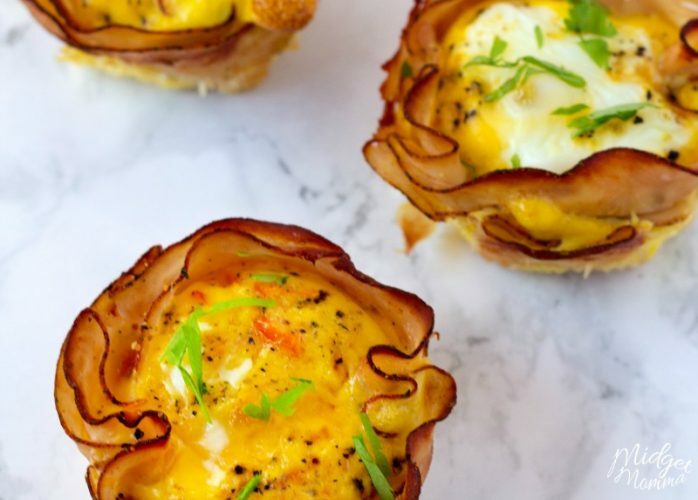 So feel free to change out the veggies in these Ham and Egg Cups to your favorites! Looking for more awesome breakfast recipes? Check out these breakfast muffin recipes, this list has all of our favorites. If you are looking for some of my favorite Keto dinner recipes try my Chicken Pesto Spaghetti Squash Bowls or Spaghetti Squash Au Gratin. Ham and Egg Cups are the perfect easy breakfast. Ham cups are filled with eggs and veggies then baked in the oven. Grease six spots in your muffin pan. Layer two piece of ham into each muffin hole. Sprinkle the cheese into the bottom of the ham. Whisk the eggs, pepper, and onions together in a measuring cup. Pour the egg mixture into the ham cups. Bake for 15-18 minutes or until eggs are cooked to your liking. Sprinkle the scallions on the top of the eggs. 2 Ham and Egg cups per serving. Need more breakfast ideas on Keto? Check out these 11 Keto Breakfast Recipes. 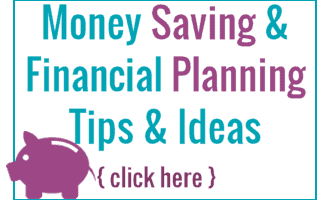 1 Smart Point for each egg cup if you use low fat cheese. *****This is the 2nd time I have made these and this time I added some jarred jalapeno chopped pepper instead of bell pepper and some chopped spinach to the egg mix. I like this recipe and it is versatile. Im glad you enjoy this recipe i will have to try it with the jalapenos my son loves them.